Hailing from Aylesbury, Ben Arnold (Vocals and Lead guitar), Tim Bentham (Vocals and Bass guitar), Colin Steele (Vocals and rhythm guitar) and Adam Connell (Drums/Percussion) have released an brilliant album that is full of a heady mixture of stoner rock, with a southern edge to it at times and the album is 9 tracks of riff-drenched songs that instantly make you sit up and listen to such a glorious sound. Launching straight into ‘Cut The Bone’ which is both heavy and melodic, the gravelly vocals soar over a crunchy rhythm which thumps through the entire track and is definitely one of the strongest sounding opening songs to any album. ‘M.D’ starts off with pounding drums and a dirty guitar riff that reverberates through entire track as the vocals grind over heavy guitar-drenched music. ‘Sol’ has vocals that are a fuzz-induced maelstrom of sound over guitars that produce delicious riffs through this track, that switches between slower and faster paced tempos throughout. ‘Fall From Grace’ starts with a peal of bells before it opens up into a slow groove, with a strong southern sound on this track and the combination of more delicate guitars over gravelly vocals makes this an immensely powerful track, as it rises to wall of sound before slowing down once again to great harmonies, before ending with a final high-octane finish. ‘Monday Night Lover’ is full on from the beginning with heavy riffs, thunderous drums and a sleek bass that all come together to produce a monster of a song, as the vocals sound almost anthemic, before ‘Lady’ again has more of that southern groove with a rockier sound to it. The track eases it way through the soaring guitars to a catchy beat that is especially so in the chorus, and as they say in the track it definitely shows you how to rock and roll. ‘Bang Out Of Line’ with its up tempo guitars and more of those delectable raw vocals again has more of a stoner sound to it, with some excellent drumming throughout the track that forms a powerful rhythm , this track is definitely one of those foot-stomping songs. ‘Get Some’ follows on with more of that brilliant Beardmore sound that is full of immense sounding riffs that band are so excellent at producing, whilst the harmonies blast out over guitars that mirror the vocals in places. The album ends on ‘Amber Blues’ that is a blend of stoner fuzz and a guitar sound that is positively filthy. It has just the right amount of heaviness for it to be a tremendous end to the album, as the vocals once again have the raw edge to them that combines beautifully with the heaviness of the guitars, as it picks up the pace once again to end as riff-drenched monster of a song. 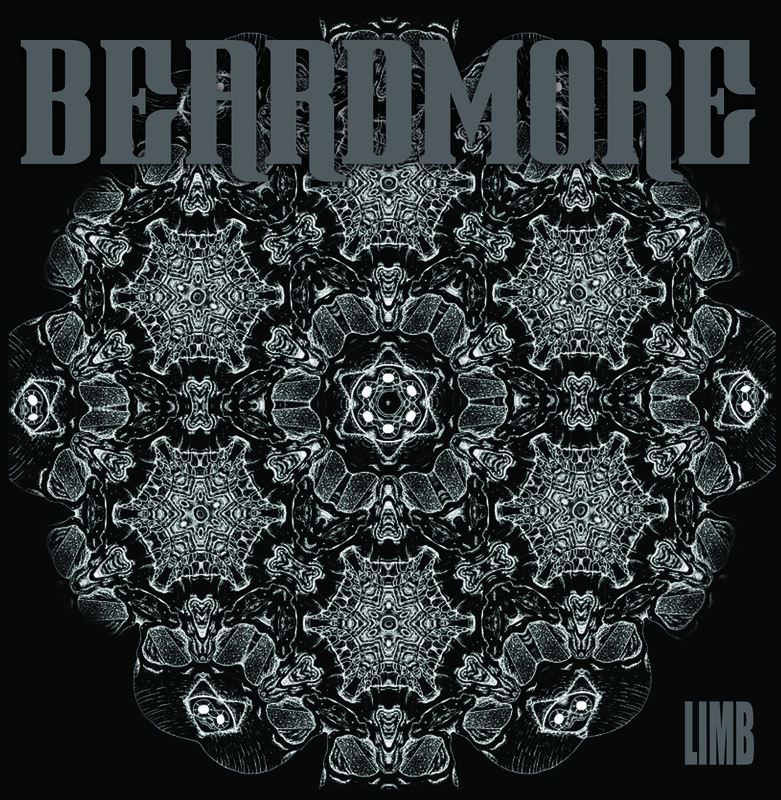 Beardmore have released in all honesty an awesome sounding LP that has all the elements to make ‘Limb’ one of those albums that will remain a favourite for many years to come. Debut albums don’t come any more excellent than this.